Born and raised in Reynoldsburg, Ohio. Vicki attended Ohio State University majoring in Elementary Ed and minor in Math. She moved to Davenport Iowa while Dr. Swank went to Palmer College of Chiropractic and worked full time at John Deere. After Dr. Swank graduated, they moved to start and build this practice with Dr. Swank. She worked for several years at practice then took time off to raise their children, Corey, and Abigail. She returned to practice in January 2002 as the practice manager, overseeing day to day operations and Insurance billing. 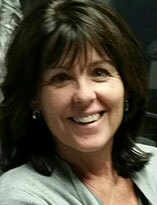 When Vicki is not working she enjoys family, tennis, travel, biking, and hiking, and sports & games in general! From Lumberton, North Carolina. 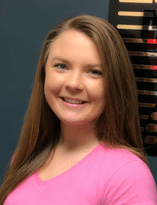 Brittney majored in Exercise Science and minored in Physical Education at Methodist University, Brittney grew up a competitive gymnast and also a former college cheerleader which inspired her passion for exercise and health. During her studies at Methodist University, she became involved in physical therapy. As a former PT assistant, Brittney established treatment plans and worked hand in hand with military vets. 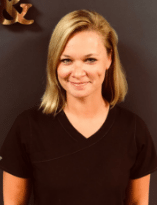 After graduation from Methodist University, she continued her work in healthcare as a chiropractic assistant here at Swank Chiropractic overseeing all therapies. When Brittney is not working she enjoys going to the beach the gym and spending time with her friends, family, and puppy Gracie Mae. Krysta was born and raised in New York and moved to North Carolina in 2017. 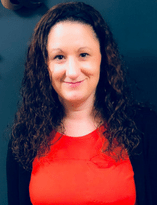 She has an extensive history working with Chiropractors in New York and recently received her Chiropractic Assistant Certification in North Carolina. She enjoys working with patients and handling administrative duties. Krysta has three active young kids with whom she enjoys taking to soccer and coaching. In her free time, she likes going to the gym and visiting the North Carolina beaches with her family. Originally from Ohio, Tricia calls North Carolina her second home. She has lived in the Triangle for the last nine years and has never looked back! She takes care of the administrative duties here at Swank Chiropractic including most patient interaction and filing. She mostly loves spending time with her husband, three children and enjoys family trips to the beach whenever they can get away. They also enjoy watching our favorite team, the Ohio State Buckeyes!